International startup WeWork is expanding beyond its co-working roots with a public kindergarten in New York City called WeGrow. The innovative school will be designed in collaboration BIG Architects and will provide an environment for education in an interactive space that focuses on introspection, exploration, and discovery. 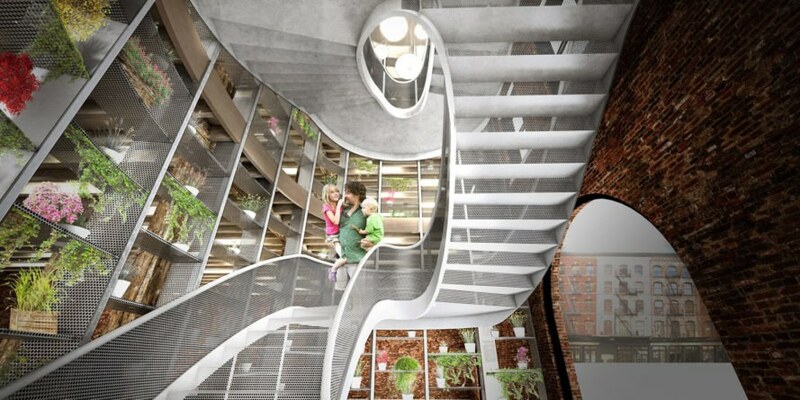 WeGrow will be a public elementary school for kids ages three to nine that aims to function as an environment where youngsters can experience hands-on and experiential learning. The first images of the space show wooden play areas, large grey pods for climbing and sitting, and several modular classrooms and treehouses that facilitate interaction. 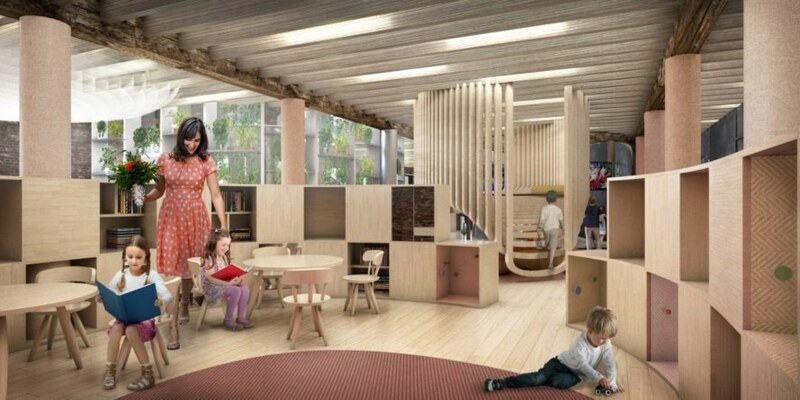 WeWork claims that the new kindergarten will “focus as much on the growth of our children’s spirits as we will their minds.” References to various natural phenomena, as well as an element of futurism, permeate the new WeGrow concept, set to open its first location in Chelsea next autumn. 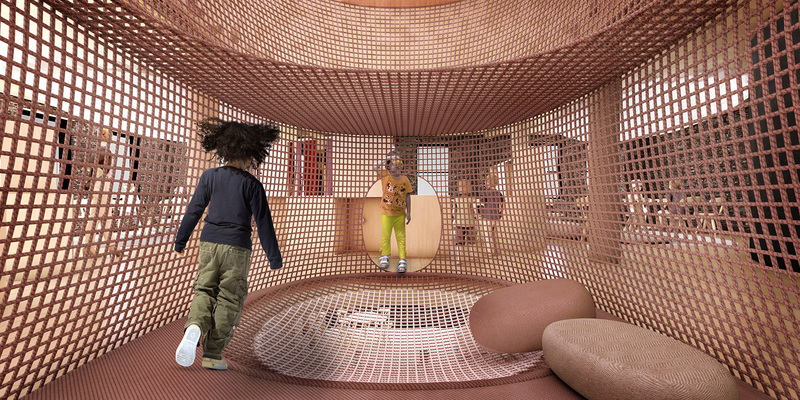 “The design starts from the premise of a school universe at the level of the child: a field of super-elliptic objects forms a learning landscape that’s dense and rational – yet free and fluid,” said the firm.